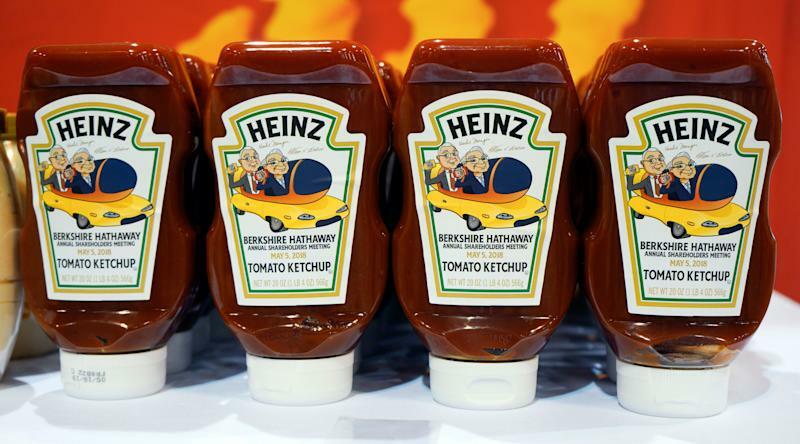 Legendary investor Warren Buffett, the founder of investment behemoth Berkshire Hathaway ( BRK-A , BRK-B ), took a big hit on Kraft Heinz ( KHC ) stock. But he may still be in the money on the investment. On Thursday, Kraft Heinz missed analysts' forecasts for its most recent quarter, posting a surprise net loss. The packaged food company that makes products such as ketchup and macaroni and cheese also delivered weak guidance; disclosed a massive $15.4 billion non-cash impairment charge mostly tied to Kraft and Oscar Mayer brands; revealed it received an SEC subpoena related to its accounting practices; and announced a dividend cut. Shares of Kraft Heinz fell nearly 27.5% on Friday, falling $13.23, to end the week at $34.95 per share, an all-time low. Buffett’s Berkshire Hathaway owns nearly 27% of Kraft Heinz common shares, a stake of 325.6 million shares. Assuming the position hasn’t changed, it’s possible Buffett is still in the money today. According to our calculations, the Kraft Heinz stake is currently valued at $11.38 billion based on Friday’s closing price, about $1.58 billion above Buffett’s cost basis for the shares. Perhaps there’s an opportunity for the Oracle of Omaha to snap up some more shares. That said, there’s been a great deal of focus on Berkshire Hathaway’s equity investments, especially given some of the recent market volatility that’s caused some investments, like Apple ( AAPL ), to drop in value. The new GAAP accounting rule requires that this mark-to-market change be included in the bottomline, which is problematic given the volatility resulting in "profit" or "loss" swings anywhere from $2 to $4 billion in a matter of days. "Our advice? Focus on operating earnings, paying little attention to gains or losses of any variety. My saying that in no way diminishes the importance of our investments to Berkshire. Over time, Charlie [Munger] and I expect them to deliver substantial gains, albeit with highly irregular timing."